The following are some questions and answers obtained from a local solicitor, some ex-pats, queries made to myself or other sources. Things may change and it is not possible to update all the information on this website so please check accuracy with other sources. There may be questions I have not had time to get answers to or update, but hopefully you can follow them up yourself. Also see the 'Property Checklist' on this website. Sometimes I get conflicting answers to questions anyway! 1. Is there any government web site we can use to help us? 2. What papers do I need to live on Sal and CV? a) To live in CV you only need to have a valid Visa in your passport...... The rules for visa's change! b) To work is different! In general you need to have a SOCIETY or get permission of Labour Department (This can take between 3-6 MONTHS to obtain via Praia. You cannot get Social Security Support before you have this). 3. What papers do I need if I want to work on Sal? 4.- Can I start working on setting up my business prior to moving to Sal? a) Yes, You could start the process via fax or email. 5. How long does it take to set up a business legally on Sal? b) For an individual inscription; for a Society: 15 to 30 days. 6. How many containers can I send over from UK? Do you know the cost of a container? Note: UK Dispatchers don't always know the taxes you will also get charged by CV Customs when goods arrive in the Port on the Island............. as some ex-pats have discovered!.....there may be other charges for storing or unloading the container. Note: Check this website for the Dispatchers contact details on Sal, he is based in Espargos. There are people from the UK that have already been through the process, you may wish to approach them for advice. 7. Do we need residency before we bring over a Container of personal goods? a)If you are going to pay taxes, the residence is not necessary, but you must use a local authorised importer who will have a licence. Can it include a vehicle? OR: If you can prove that you receive a Pension in UK you can move to CV and take your personal goods without payment of taxes ; if not you must pay taxes under de valuation of goods = more transportation costs! 8. What are the Visa regulations? NEVER RENT WITHOUT OFFICIAL CONTRACT ! -you will need it to apply for a visa if staying a long period. 9. We also wish to bring over our dog - what are the rules on bringing over pets? a) No problems with dogs just make sure you bring the international documentation! 10. Are there any rules for bringing over other animals? a) I don’t know ! 11. Do the laws differ on the other Cape Verde islands, to those on Sal? If so which laws? a)The law is the same but not the persons that use the law !!!! Every one do what they want !!!! 12. Are there any rules for importing fresh goods i.e. flowers, fruit etc? a)YES only with ECC certificate. 13. If I wanted to import goods, how do I do this? a)You can’t, only an official Company with licence ! It could take 6 to 12 months for you to get a licence! and minimal capital outlay of 5.000.000$00! BUT it will be more difficult next year (2006) because they will have a new import law ! 14. What do people do for general house insurance for contents and possessions? a) Normally they don't do anything - only buy again! But you could take out insurance with a local company. 15. Do people normally take out buildings insurance? a) No, its cheap enough to get repaired. 16. What if there are structural problems later, who is responsible? b) Get your solicitor/lawyer to check before you buy. 17. Can you tell me what the average Service clean costs would be for an apartment per week/month? 18. What are the different water service provisions as I understood some older buildings had tanks on the roof and some tanks are in the ground? a)Mains pipelines may not have been installed to a particular building. The supplier of water may not have the capacity to supply an additional building/development with mains water supply. Some large developments will build there own desalinistation plants to provide water. If you are in a building that has a water pump, then it can pump the water from the ground tank, up to other floors. If there is a roof tank then you don't need a pump. All tanks should be checked for health safety reasons regularly!!! Check the water level of your tank before delivery, make sure you are being charged for water they say has been supplied! Also check that the pipe connections are fitted tightly from the tanker, I know its not your job, but many a time I have seen delivery wagons with water seeping out from the connections onto the floor, it didn't reach the particlar tank but the buyer will still be charged for it if he wasn't present unless he has monitored the water level/capacity. Some condiminium/management services will do this for owners as part of their management agreement. Are there any problems sharing tanked water? a) Yes, if the other tenants use more than you on a regular basis or there are no individual meters of usage for each apartment. It provides some difficulties between tennants/owners. 19. Do you know what the minimum measurements per square meter is for T1? T2? T3? Apartments. a) NO, You must ask an archtect. 20. What year was the minimum sq.mtr law introduced? 21. What is the law regarding how much money you can take out of the islands at anyone time and how do people get around it? a) ONLY 1.000.000$00 IN CASH IF YOU HAVE A BUSINESS . 22. What are the Tax or Vat benefits for pensioners? a) If they are importing things from home, they don't pay tax or vat. Note:You will have to make your own enquiries with you solicitor/lawyers on the island! 23. Is there any standard or rough list of general Construction and Condominium rules I can look at, it will give me an idea of what questions to ask the builder? a) No ! you must ask each builder/sales agent if they have that , if you don't find out what it included you may buy one Apt , then after some months you could have every kind of business around !!! Get your Solicitor/Lawyer to check before you sign anything! 24. Could you tell me what the various type of conditions I would need to consider, that maybe included in the contract, before I buy any apartment? - Apartments are different from Shops ! Must see the construction project and Condominum rules ! a) Sterling and convert it over there? No, its best to bring Euros as they charge you commision to change £'s to Euros, then Euros to Escudos (ECV). b) Sterling Travellers Cheques & convert them over there? No, See above, also with travellers cheques, they only accept them if the numbers are in order (i.e. if you have 1,2,3,4,5, and you use number 3, they will not cash 1 + 2.) stupid I know but thats Cape Verde!! c) Euro Travellers Cheques and convert them over there? Euros are better, but see above about travellers cheques. d) Hole in the Wall ? The hole in the wall has very high charges, recommend you don't use this facility unless you check the charges yourself prior to use. Not many places accept credit cards. 26. How can I pre-arrange a visa to visit Sal for a holiday? 27. Are there more development now being built on the west side? 28. 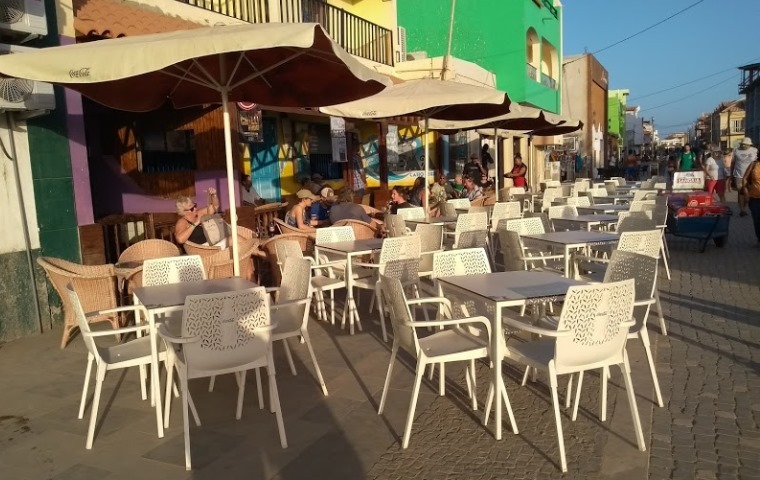 Is Vila Verde a beach front development? a) No, it is not beach front development. 29. Do people speak or understand English on Sal? a) Even some of the hotel staff struggle, some hotels are going to be employing someone to start teaching English to some staff but generally no. You need to learn some Portuguese, even if it is just to show politeness. SOme Spanish or Italian is understood. 30. Where is it best to buy property/land, without hassle, for a good return? a) As near the beach! - Depends if you want to rent it out or live in it. - Whether it is an apartment in a small development or in a large one. - Depends if the Development has amenities which will attract others to buy. - how long you want to keep it before re-selling, you may want to do this on signing or keep it a year or longer!. And a million and one other considerations, some of which are on the other pages of this website. Do your research and find out what is best for your situation. 31. To whom do I enquire about local schools on the island? a) MINISTERIO DA DUCAÇÃO IN PRAIA - SANTIAGO ISLAND . How many birds are there on Sal? How long did it take them to lay that cobbled road? How many planes fly into Sal each week? Is it cheaper to buy draft excluder in the UK and bring it over with me in my luggage than to buy it in Espargos?